You can see it highlighted in red. Pffft. My town is tiny! and back down along the pretty much untouched lagoon side back into San Pedro Lagoon and to town. 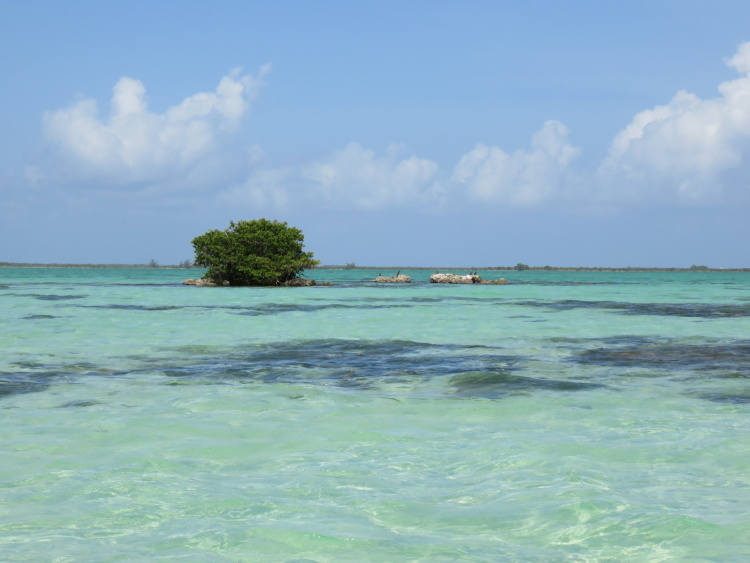 The snorkel sites are AMAZING, the brief trip outside the reef, exciting and the views are unlike any others on the island. 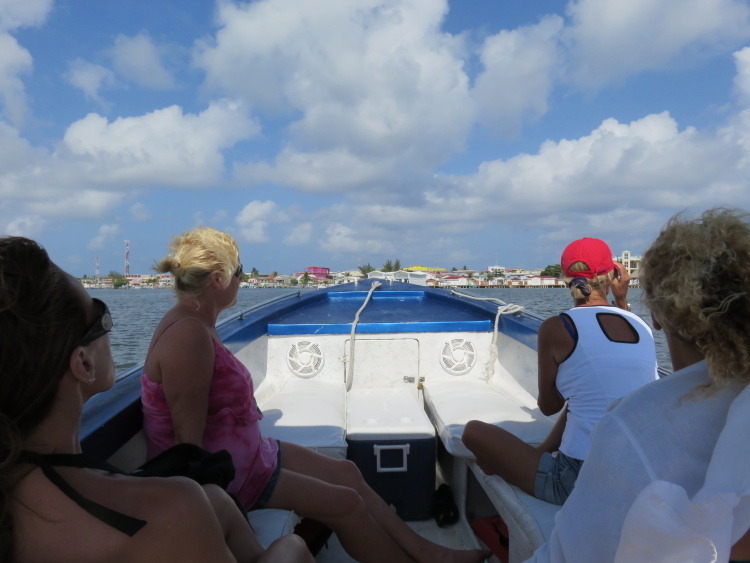 Yesterday started with a 9am pick-up by Captain Carl of Imagine Tours and his boat, the Newt. 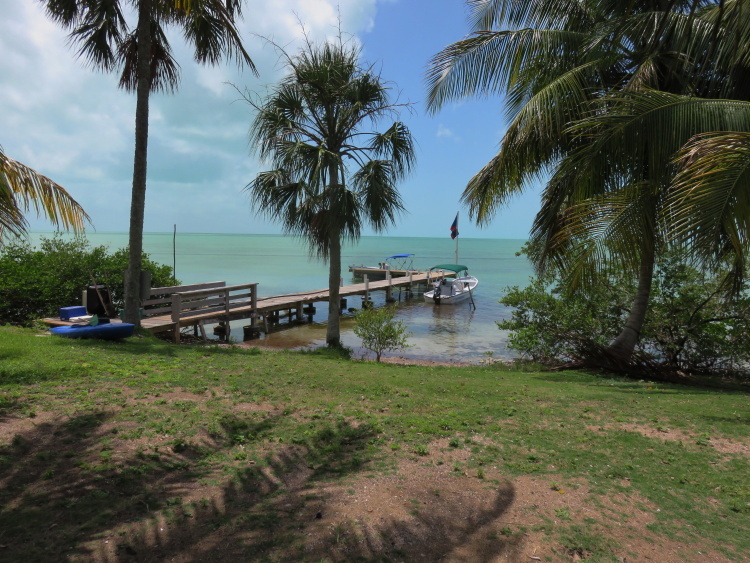 He does his own excellent spin on the Bacalar Chico trip and showed me a bunch of new things. 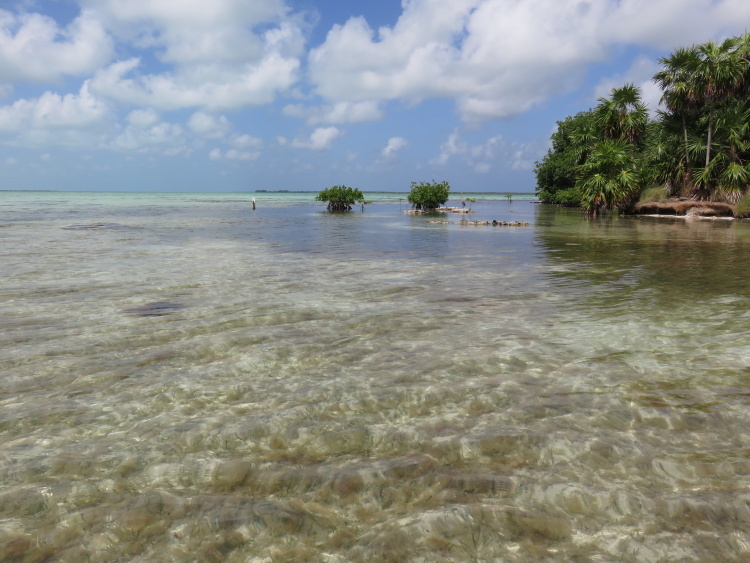 We had originally planned to do the lagoon side first but since the wind would be picking up more as the day went on, best to start along the reef. 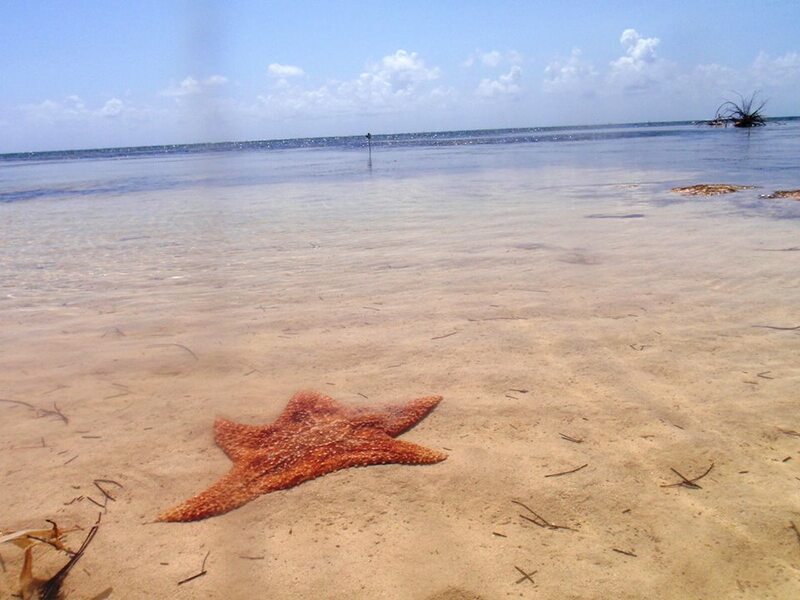 We stopped for the always gorgeous swimming and snorkeling at Mexico Rocks snorkel site. 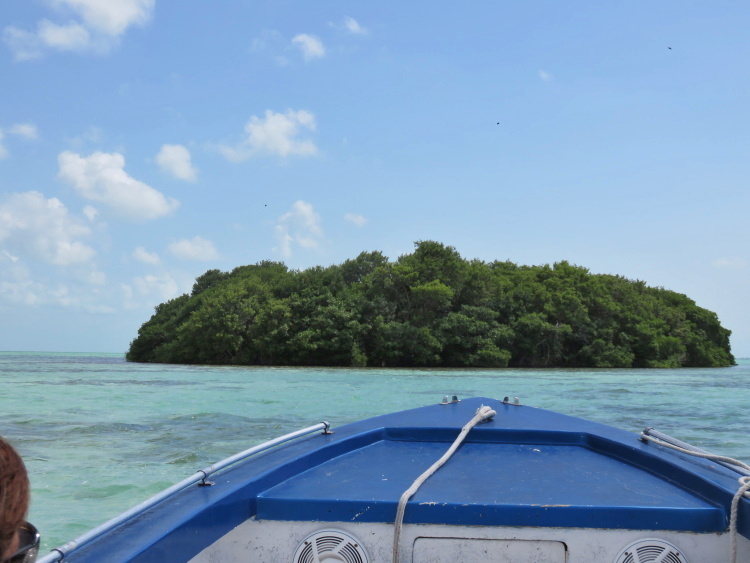 And then cruised up to the last resort on the island, Tranquility Bay to snorkel along the deep cut in the reef. I had a GORGEOUS relaxing few days staying up here a few summers ago. Such a fun trip. Here’s just one picture. 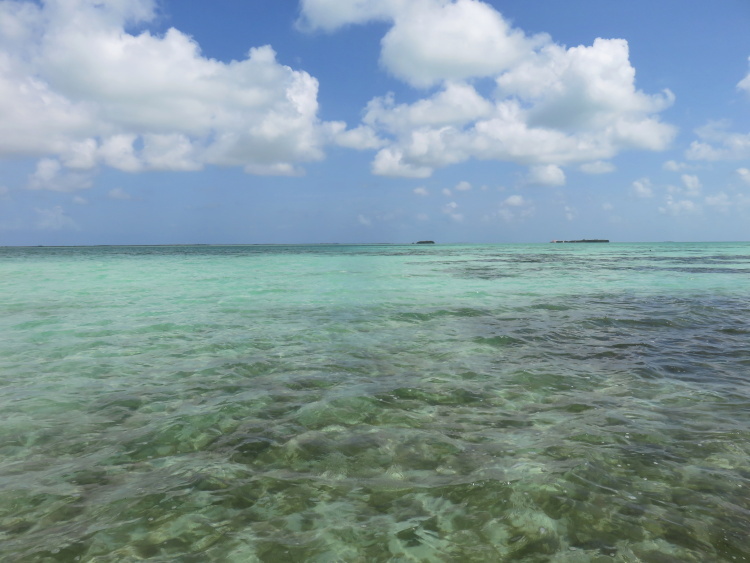 Very pretty and easy snorkel stop – we drifted along as the Newt cruised over to pick us up. 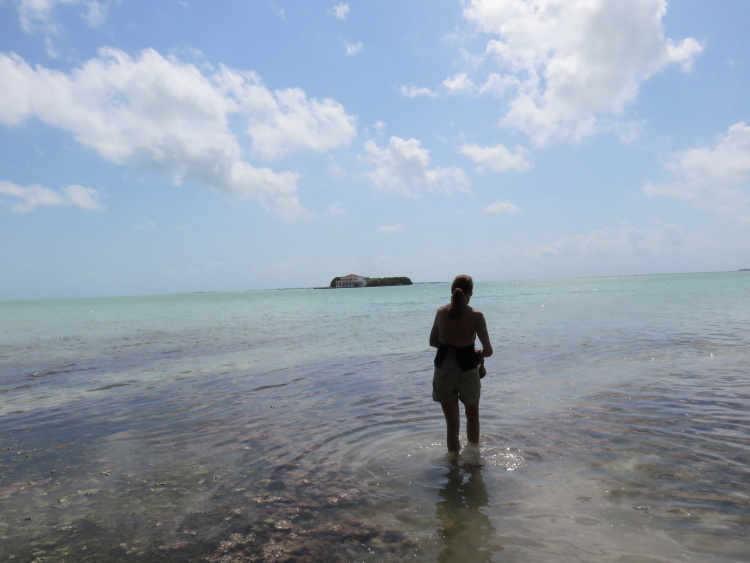 We then headed outside the reef for about 15 mintues. Up north, at the Rocky Point area, the reef actually gets so close and then touches the island. For those who tend to get a little sea sick (like I sometimes can), it’s a good time to keep your eyes on the horizon. Everyone was fine. 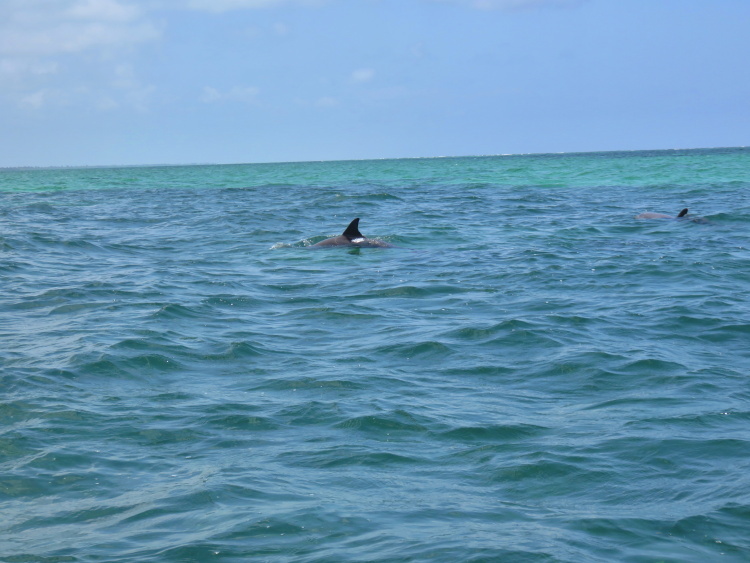 Back inside to the very calm waters and…DOLPHINS! Marty, a fellow passenger, spotted a few showboating in the shallow water. A baby and mom and about 4 more. AWESOME. About 65 trillion times more awesome than this crappy picture. Manatees can be a guaranteed deal but somehow, they always know that I am coming and disappear. I NEVER GET TO SEE THE MANATEES. We looked but this trip was no different. Manatees dislike me. 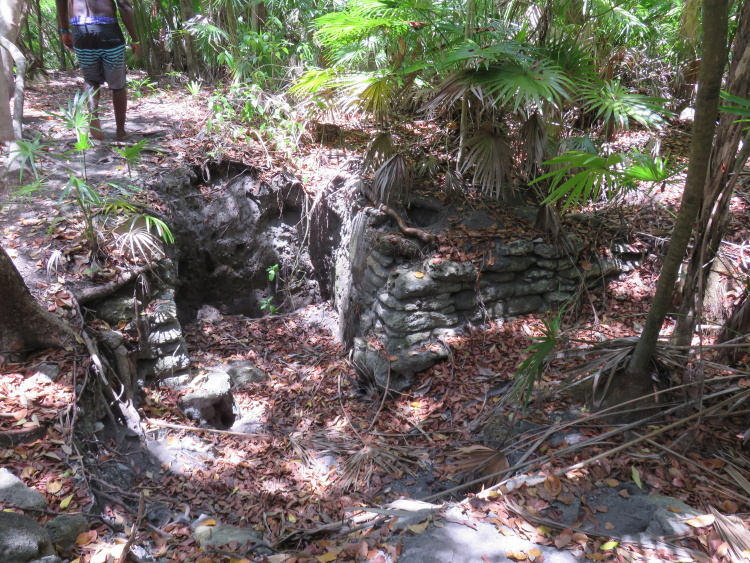 We headed over to a small Mayan site around the bend. 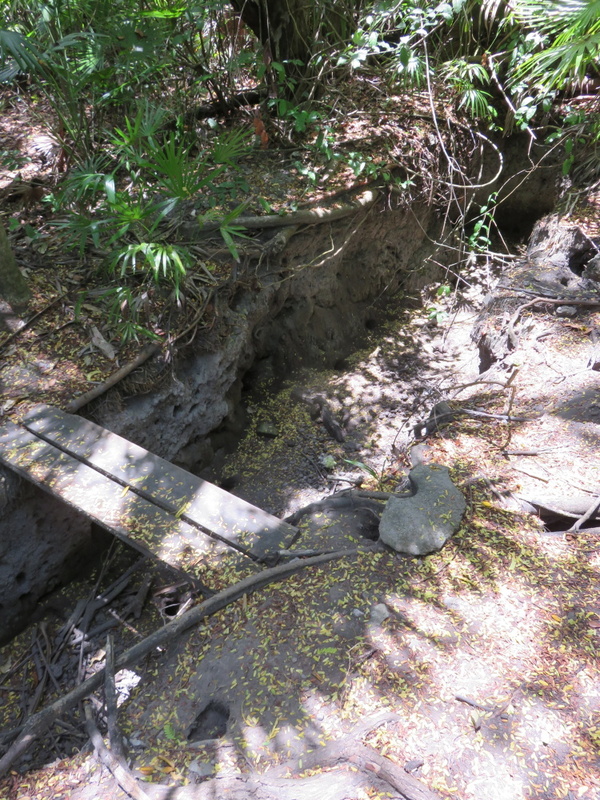 This cut was dug and used by the Maya hundreds and thousands of years ago as a trade route. 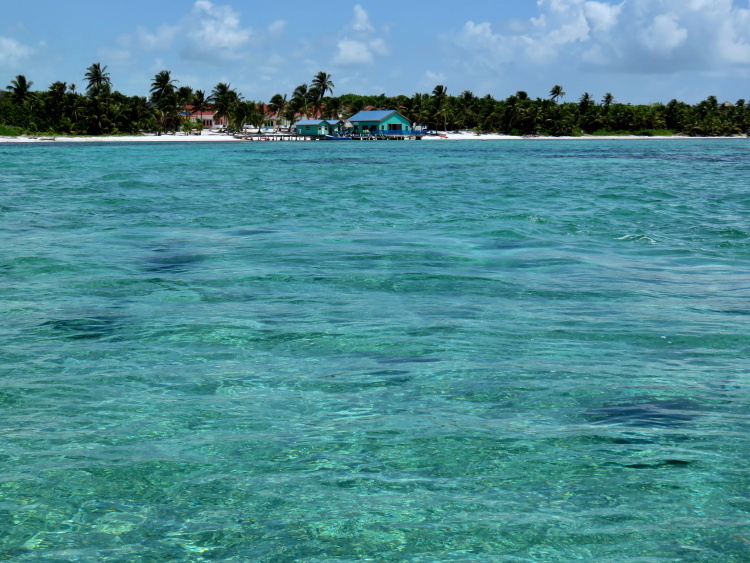 There were over 10 different sites found on Ambergris Caye to date. Now THAT’s the scoop. 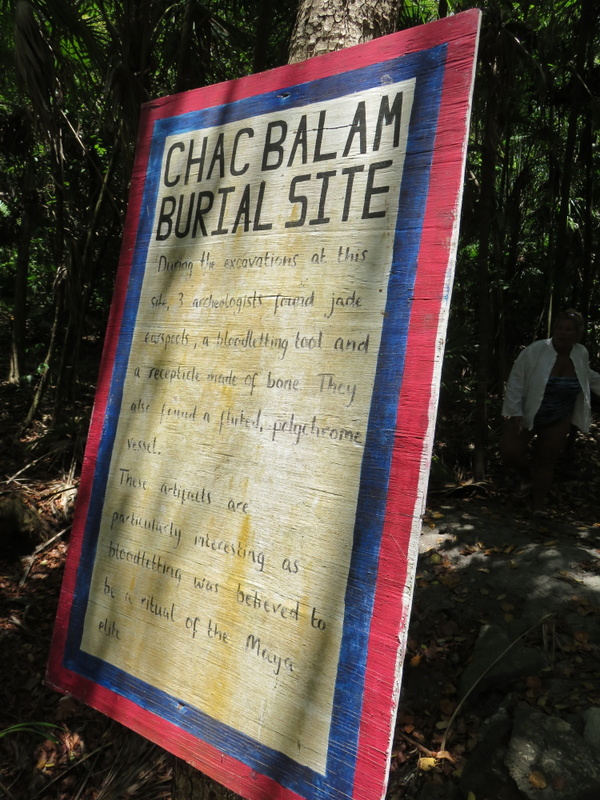 Here is the entrance to Chac Balam. 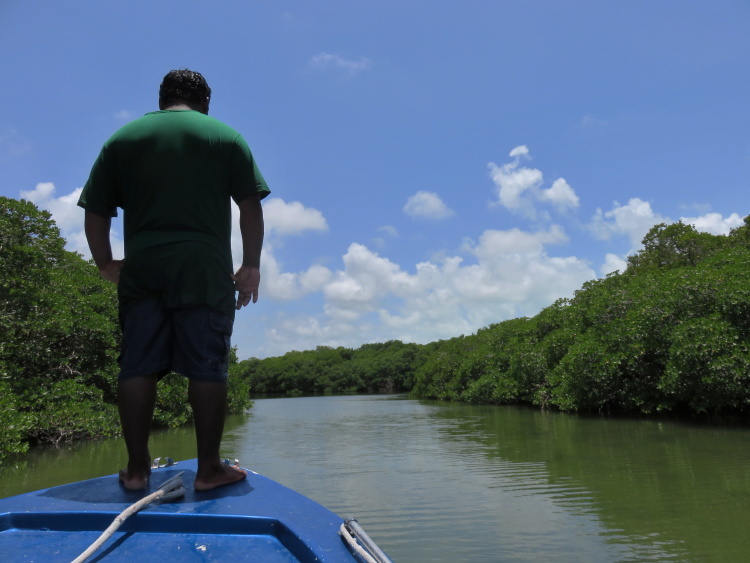 The mangroves really are the most amazing trees. Growing in extremely salty water. We headed down the path and into the clearings to see some excavated areas and a burial site. 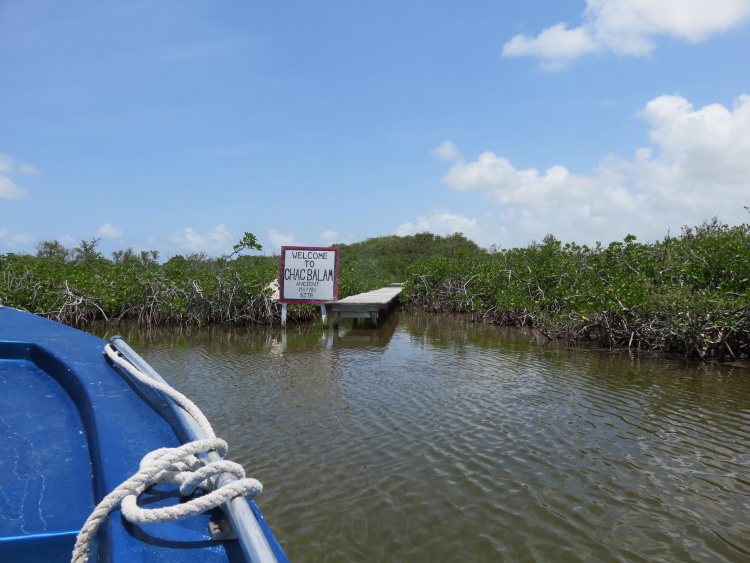 Back on the boat, we turned the curve and were at the Bacalar Chico ranger station, museum and LUNCH! 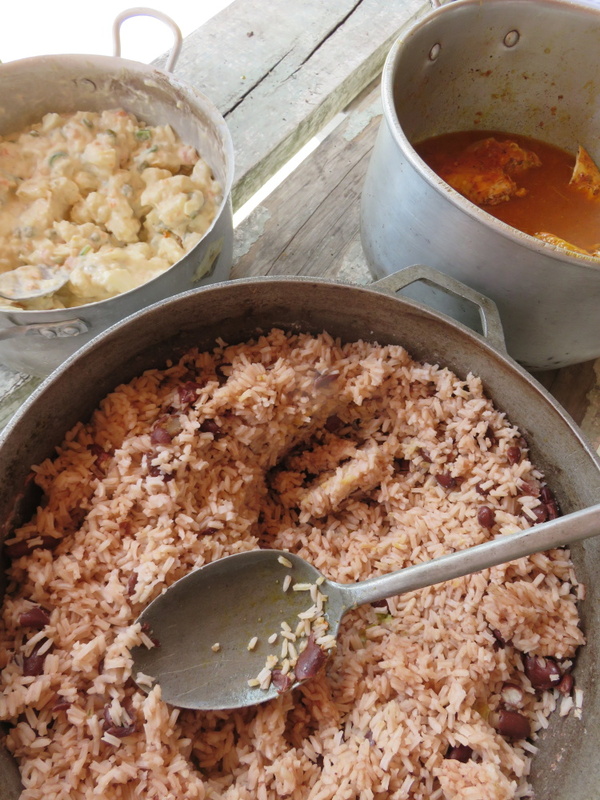 Belizean classics – the rice and beans, potato salad and tender stewed chicken. I like to mix all three together in a style that my table manners obsessed parents would not have approved of. My elbows were all over that picnic table too! 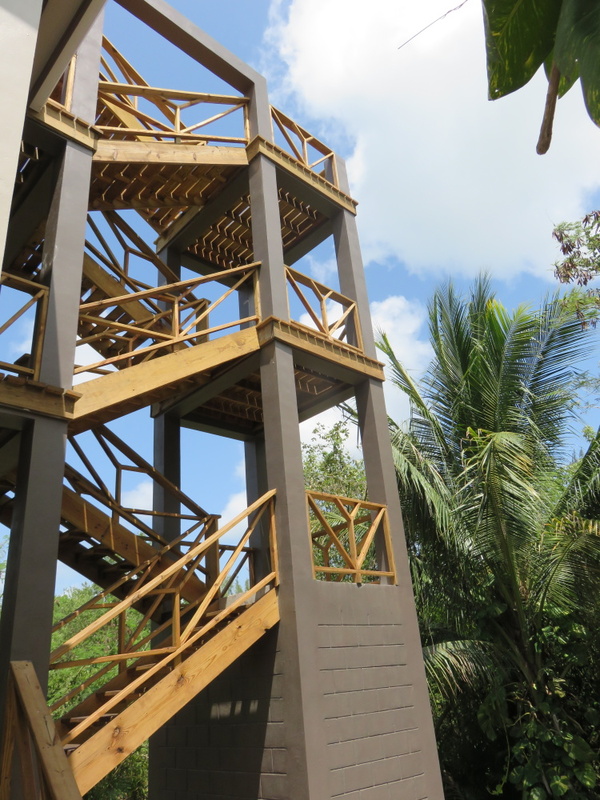 A new addition to the area is this tower for the lay of the land and some gorgeous views. 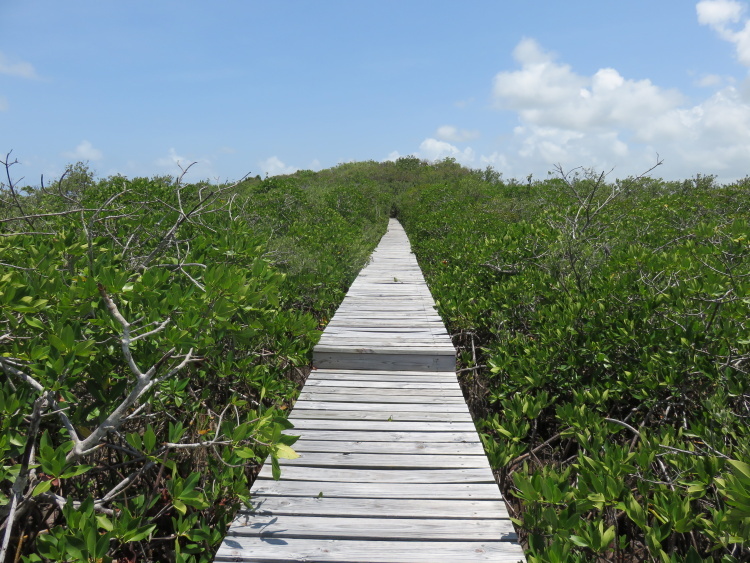 We head out again down the back side of the caye – it’s dotted with smaller cayes that the birds seem to be loving. Lots of privacy (except when meanies like us circle round) for nesting and babies. 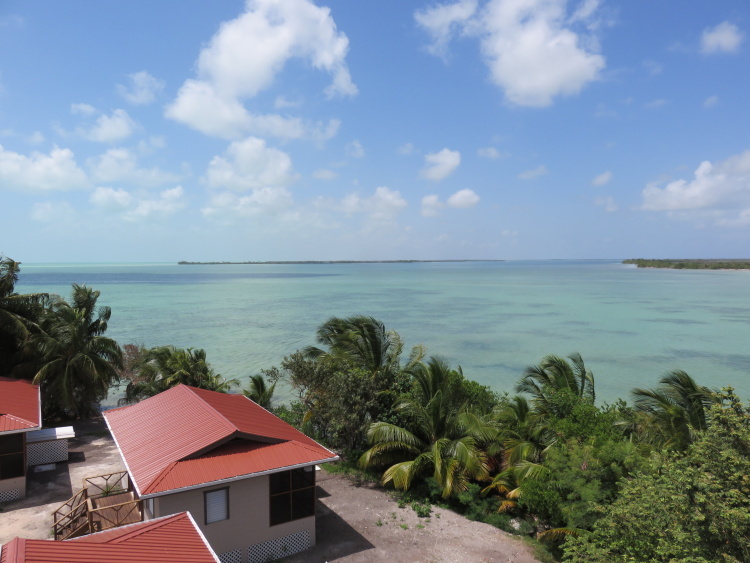 I never even knew these cayes existed. SO beautiful. 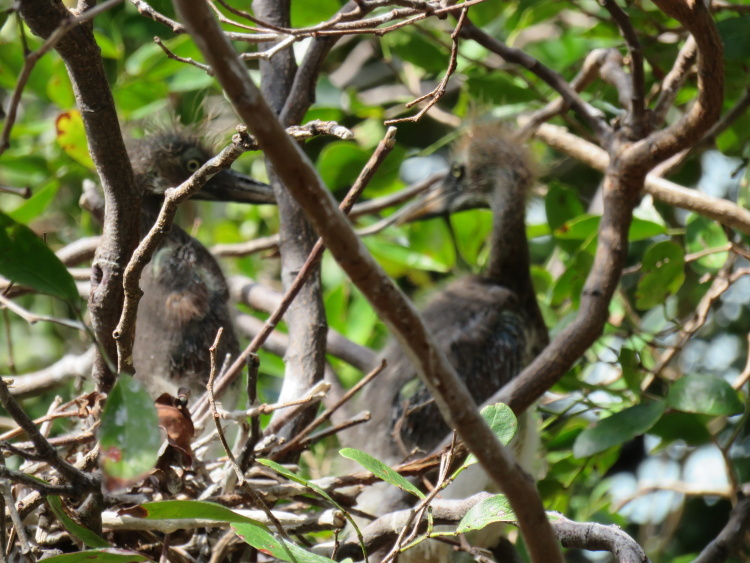 We waded a bit closer to this one and I was able to use my new 30x zoom to peep at these baby birds. 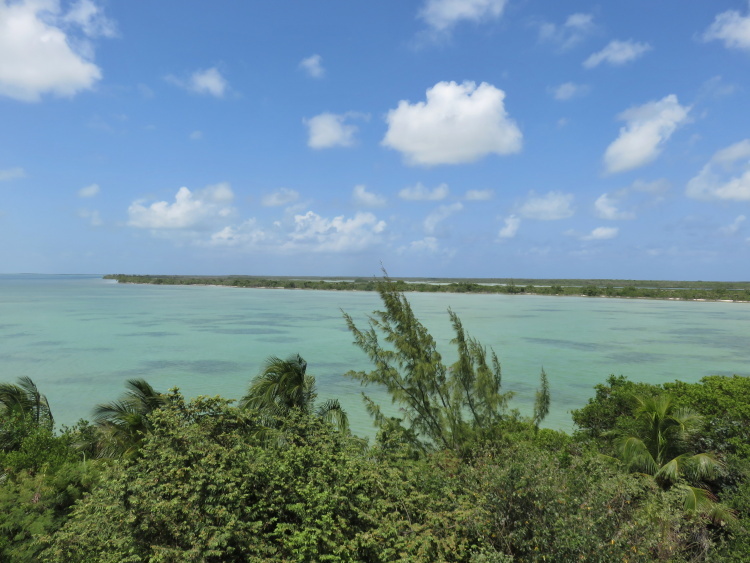 Just next to this “bird island” someone is building a huge house…they only one we saw for miles. 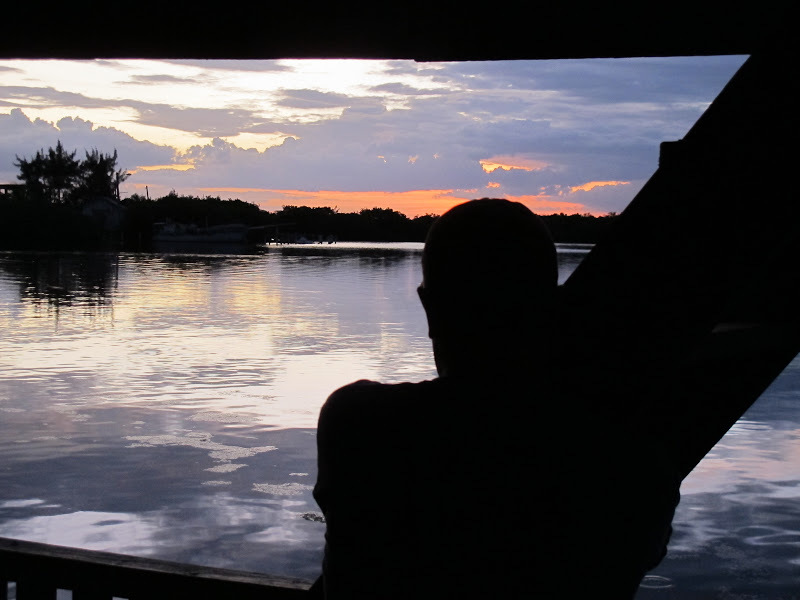 Just about 15 minutes later we cruised back into San Pedro lagoon, right passed the back side of town and the BEST bar to see the sun set – the Barrel Bar. So here is what I have to say. It’s one beautiful place. 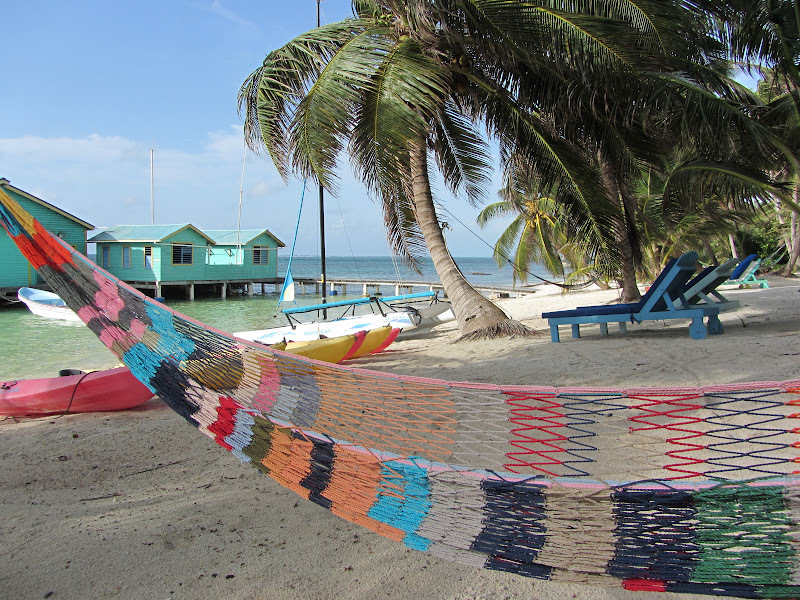 And…to go on this tour, check out Imagine Tours Belize. 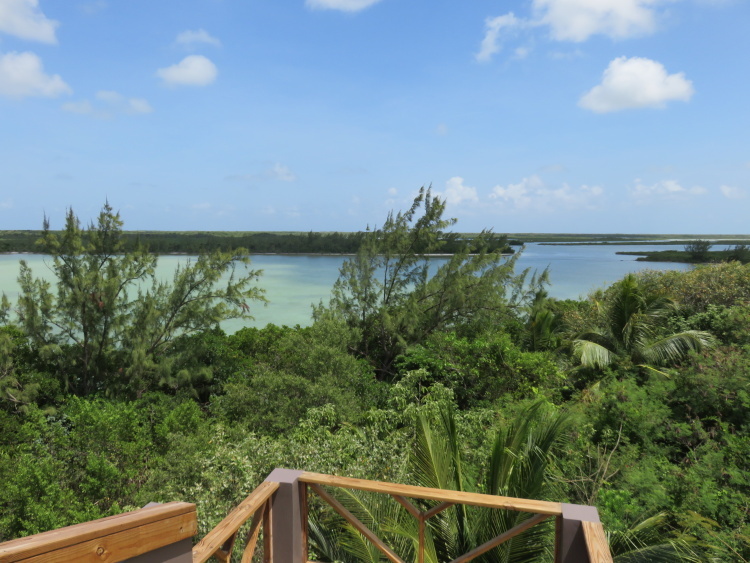 I’ve been up here a few times and never gone to the Mayan site and I’ve never seen all of those birds. A beautiful picture my friend Tami took yesterday up north. More love. Gorgeous! And oh, I envy that 30X zoom! Wowee. I wonder what kind of birds they are? 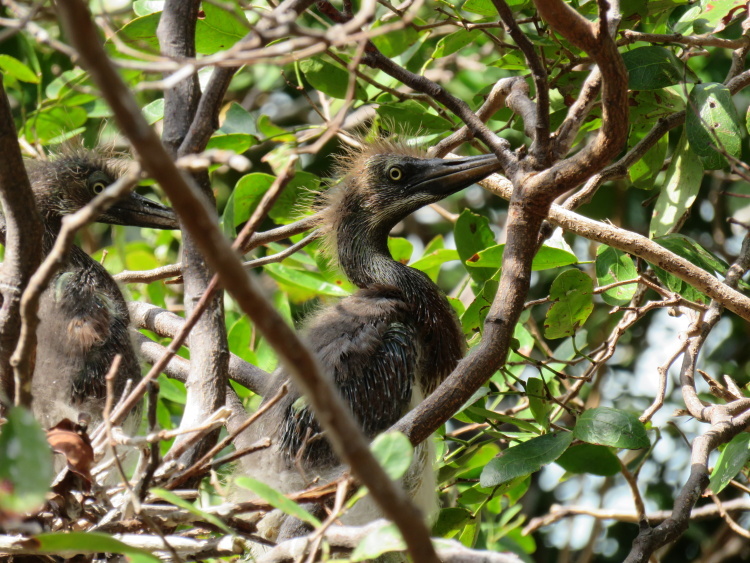 They resemble pelicans a bit in the face, but it can be hard to tell with fluffy juveniles. Great photos and looks like a really fun trip! I think they might be cormrants. 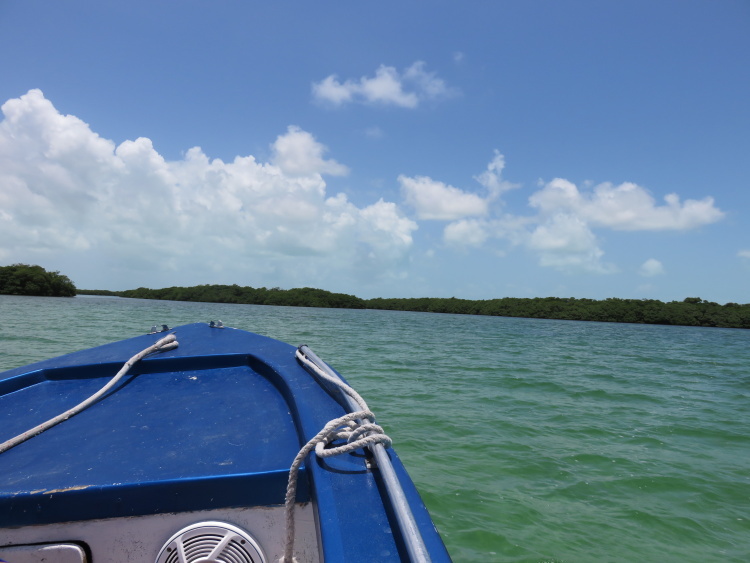 There were all sorts of birds flying out of the island…ibises and cormorants and pelicans. 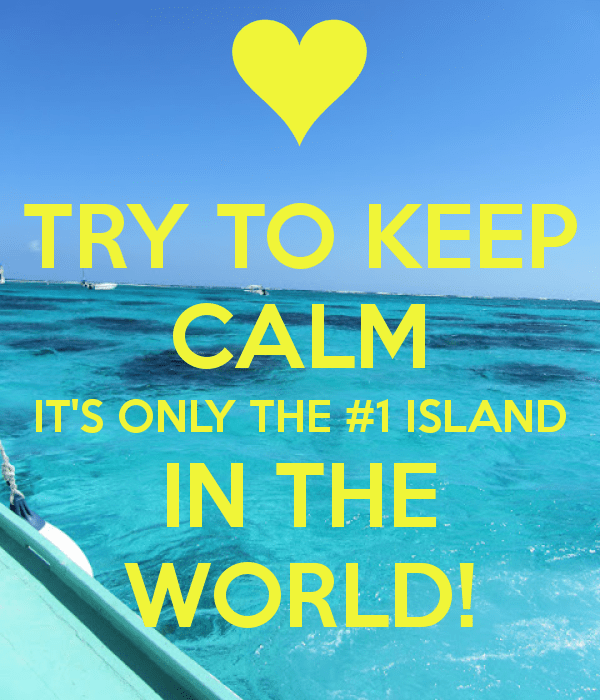 regarding comment on the number 1 island in the world. Ah it won’t be for long as those brilliant and seemingly well advised and informed real estate agents continue to operate in our little island. Truthfully, they all make me sick . I’ve been here since 1985 ..seen most of them come and go and some go straight to jail . only 1500 people in sp back then ..don’t you admire their handy work or would wreckage be a better word for their occupational foresight and intellect? no love loss at my camp. hope I didn’t offend any of the Einsteins with my opinion. But we are still lucky to have whats left.